Kiki Trading za cc. was formed in 1998, has been awarded the rights as a distributor for Everris International B.V. formally (Scotts International B.V.) Turf and amenity range. Everris International B.V. 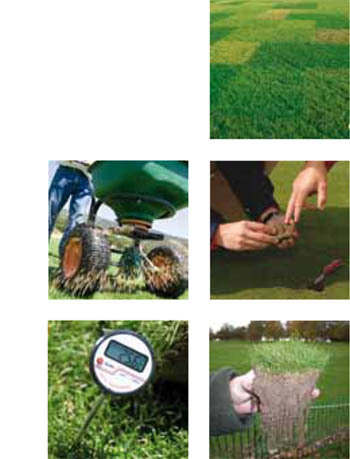 Turf and amenity range is a very successful and established brand internationally since 1868 and has been well marketed. They are an international company that wants to re-establish themselves in the South African market place, for the Turf & Amenity range, through Kiki Trading. Our grass seeds and fertilizers make golf greens faster, sports pitches stronger and parks greener. 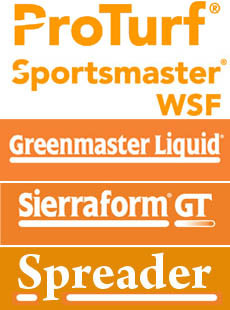 We can provide a range of leading products that help to manage turf in the best way possible. This means that turf is always at its best for playing sport or just enjoying. Kiki Trading za cc aims to supply the best Turf & Amenity Range of products, to it’s discerning clientele in the turf market. Kiki Trading za cc has pleasant staff and excellent service. Brandon has been involved in the golf and turf industry since July 2003. Kiki Trading offers value for money and quality products, expertise and problem solving ability. Coupled with an open mind and ease of communication that will result in the customer's complete confidence in immediate and lasting results. The Ultimate fertilizer to be use by turf professionals and amazing results! Everris International B.V. is certified according ISO 9001, ISO 14001 and OHSAS 18001.